The guys at SafeWalls caught up with our friend and talented screenprinter/artist Aida Wild. They visited Aida at her studio in Hackney Wick, London as she was beginning work on the Sweet Toof and Glenn Anderson TOTEM screen prints which featured in the Safewalls exhibition at the High Rollers Society gallery. 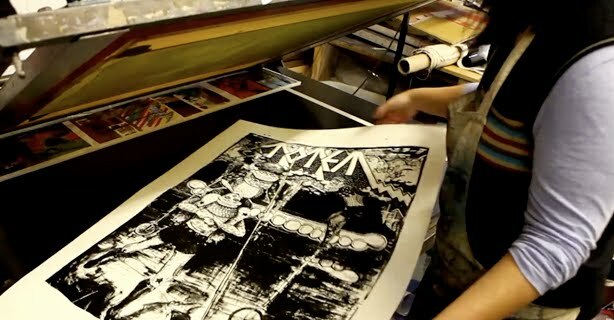 Aida Wild is a master image maker and screen-printer to the stars. A political refugee from the Middle East in the early 80′s, Aida studied at London College of Communication and graduated in 1999, she has then gone on to spread the love teaching surface design for the last 9 years.